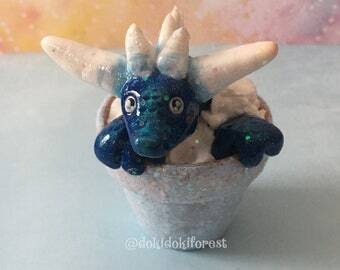 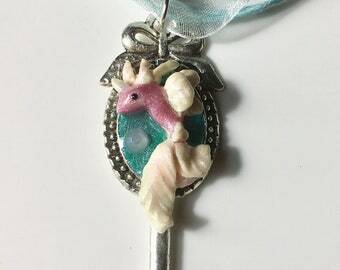 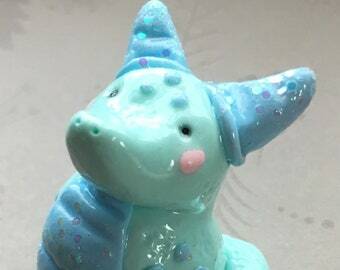 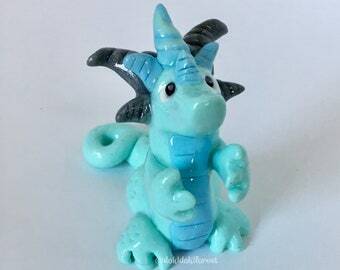 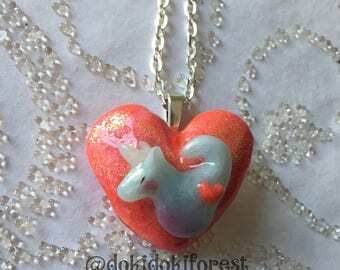 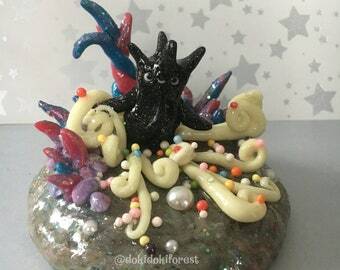 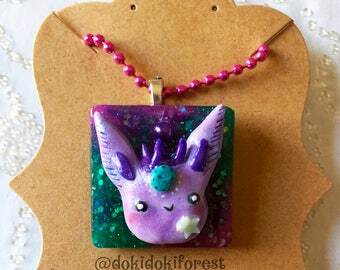 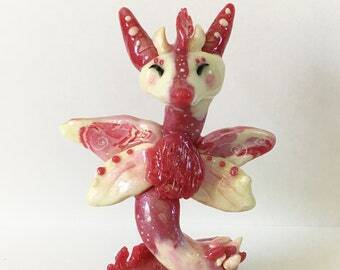 This is a gorgeous glittery dragon resin pendant with some polymer clay accents added. 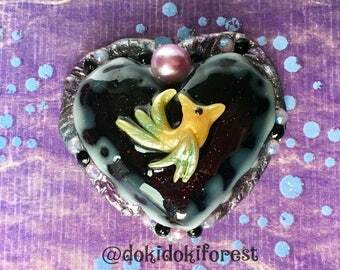 It is so sparkly and the glittery flakes inside shine like scales. 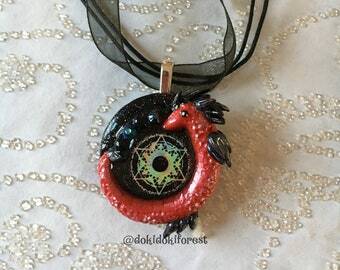 This item can be ordered as a necklace OR a suncatcher! 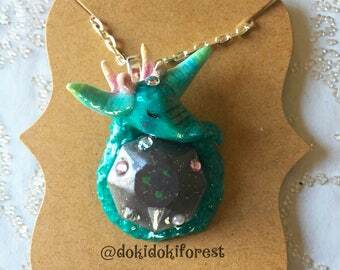 The necklace will come complete on an 18" (plus 2" extension) black suede choker so you can wear this right away! 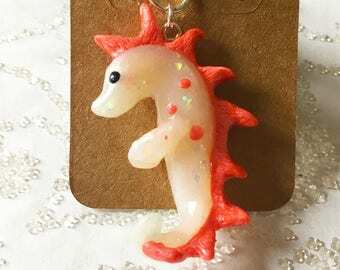 Suncatcher of course comes with suction cup so you can hang it up right out of the box! 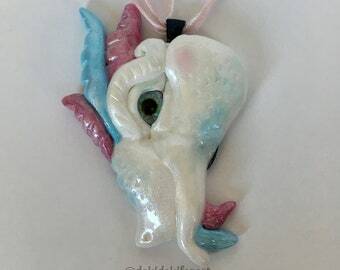 Measures about 2" tall and 1 1/2" wide. 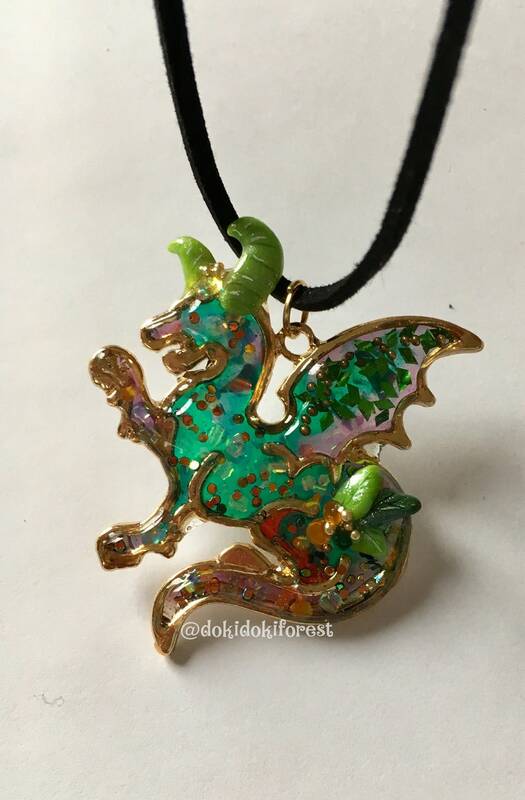 Please be sure to see the pictures so you can check the scale of the pendant!